Wellington Airport forms an important part of New Zealand’s transportation network. The airport handles close to a million international passengers annually and has somewhere in the vicinity of 70 scheduled international flights per week. Long-established carriers at the airport include Air New Zealand, Fiji Airways, Jetstar, Qantas and Virgin Australia. Together, they link New Zealand’s capital to Brisbane, Melbourne, Sydney, the Gold Coast and Nadi as well as an array of domestic cities. 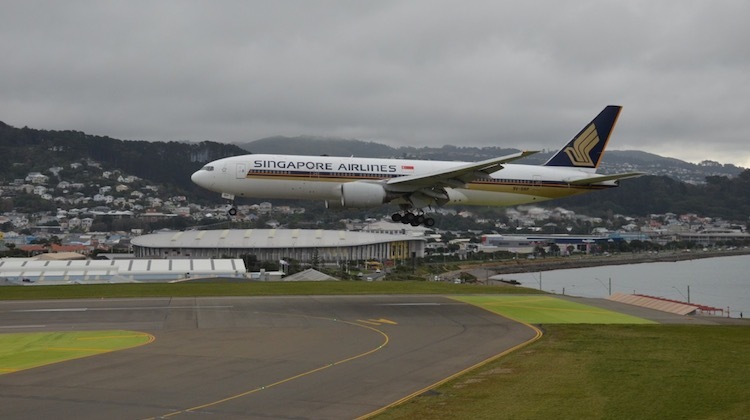 But there is one carrier shaking things up at Wellington Airport: Singapore Airlines (SIA). Launching flights in September 2016, the airline links Wellington with the international city of Singapore. Originally flown via Canberra and operated by a Boeing 777-200, the flights were dubbed the “Capital Express”; referring to the route linking the capital cities of three countries. 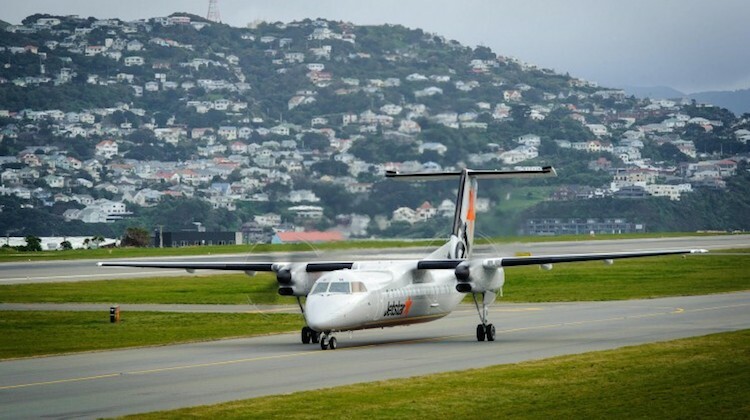 This service was designed to satisfy the demand of the business market, which makes up a large component of Wellington’s international air traffic. It links Wellington to one of Asia Pacific’s largest hubs, allowing for a seamless connection at Singapore Changi Airport to Asia, Europe and beyond. 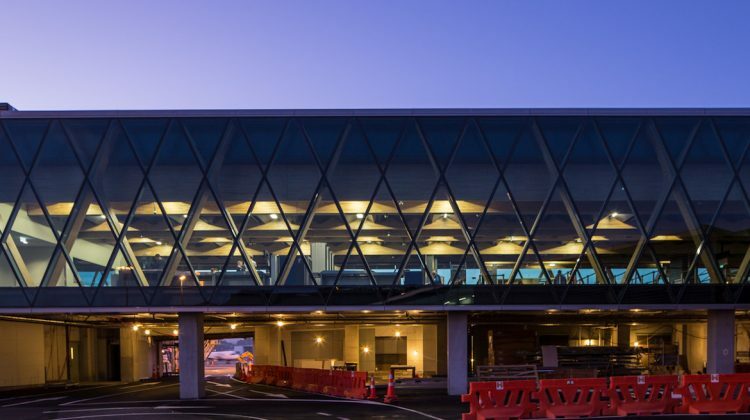 “The return of a wide-body business product has been well received by the market,” Wellington Airport manager for airline development Mike Vincent told Australian Aviation in June. 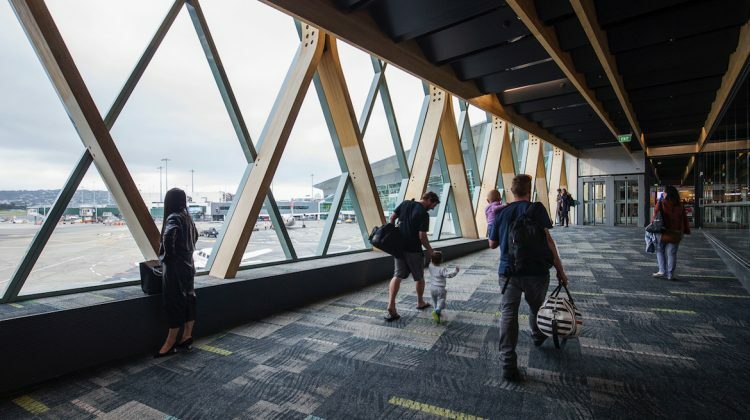 A boost in passenger traffic, thanks to SIA’s widebody aircraft, has led to a number of advantages for both Wellington Airport and the travelling public. Flown end to end on the same aircraft, SIA opened up a convenient link for New Zealanders eager to experience an international product for the duration of their journey. In addition to the simpler, more streamlined experience, passengers are enjoying an overall reduction in airfares on flights into Asia. 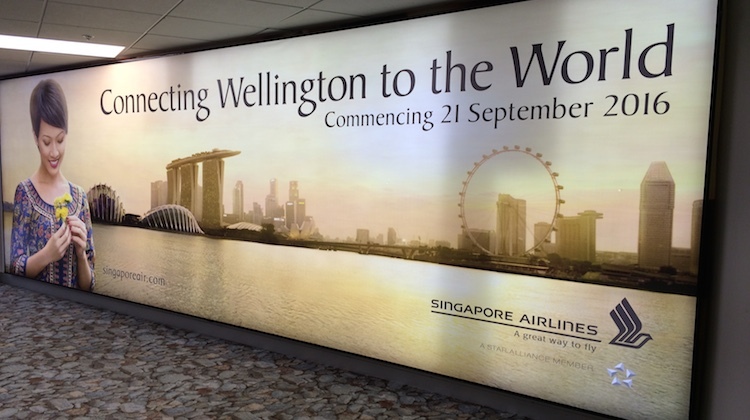 “(This is the) first direct service to a global hub airport, providing connectivity through Singapore with 120 cities in Asia and 20 in Europe, as well as being a carrier with significant presence in Asia who is strongly selling Wellington as a destination,” Vincent said. An increase in international travellers inevitably leads to an increase in demands on the airport. To meet expectations, Wellington Airport has committed to a program of enhancements designed to modernise and improve the customer experience. “Wellington Airport has a continuous improvement programme to improve its runway for wide-body aircraft,” Vincent said. 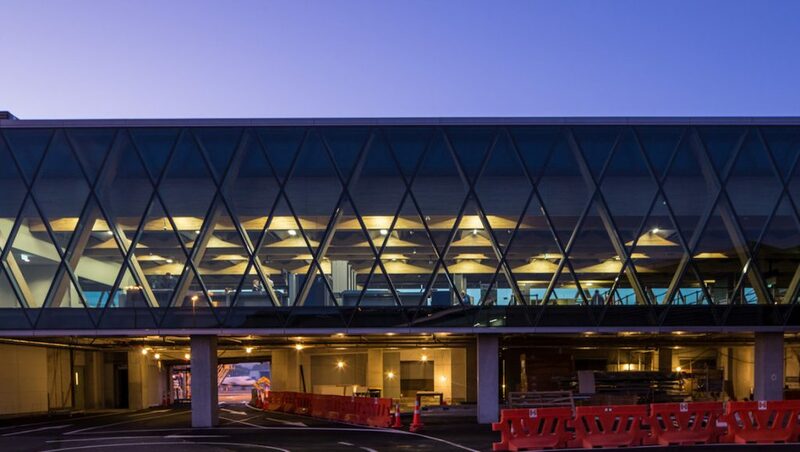 Additionally, the airport has added a new public transport hub as well as a multi-level carpark to improve the departures experience, while the building of a 134-room Rydges Hotel is underway, aimed at catering for the boost in international business and leisure travellers. VIDEO: The arrival of Singapore Airlines’ (SIA) inaugural Singapore-Canberra-Wellington flight in September 2016, as shown on Wellington Airport’s YouTube channel. With the success of flights into Wellington, SIA tweaked the service in May 2018, dropping the Canberra stopover in favour of a call at Melbourne. The new schedule runs four times weekly, utilising a Boeing 777-200 in a two-class layout; while Canberra continues to be served separately as part of a triangulated service with Sydney. The new routing increases competition on the route between Wellington and Melbourne, boosting options for trans-Tasman travellers. Due to fifth freedom rights the airline is able to sell tickets on this leg of the journey. Additionally, this provides options for increased services into the future. “There is growth being achieved through higher load factors and the switch to Melbourne provides new connections within Australia and at the Singapore hub, which will be able to support frequency increases in the future,” Vincent said. At present, SIA is Wellington’s only wide body operator. And with arguably the best business class on the route and an unmatched cargo capacity, it remains to be seen how rivals Qantas, Virgin Australia or Air New Zealand will respond. Wellington Airport has proposed extending its current runway by 355m at the southern end, arguing it would enable more long-haul widebody flights and support the local economy. 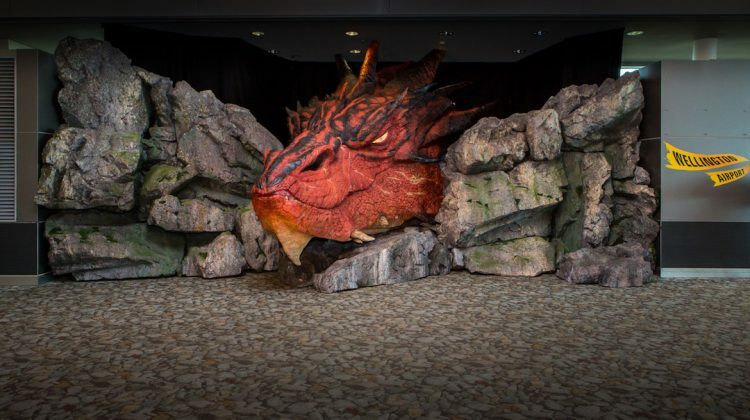 The proposal was first raised in 2012. Currently, the total runway length of Runway 16/34 is 2,081m. 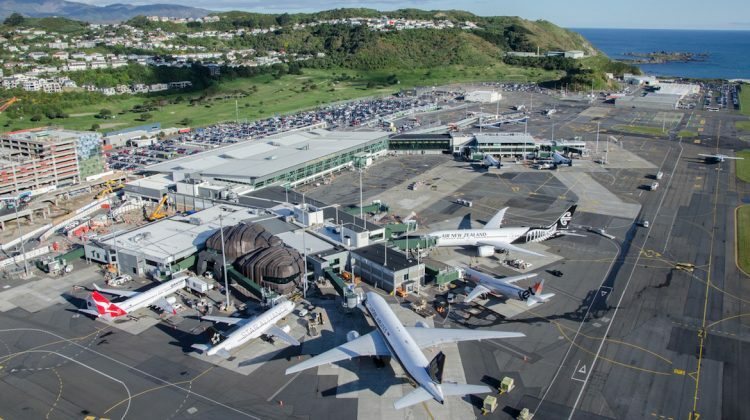 That effort is currently on hold, with the airport seeking to re-submit is plans to the New Zealand Civil Aviation Authority after pilots challenged the proposal in the courts. Thank you always great to hear what’s going on across the Tasman! What a beautiful character this Capital city has and indeed its lovely airport. It will continue to thrive and allow many more overseas tourists to flock in and enjoy its many flavours and warm ambience. So many airports are sterile and so lack the warmth that Wellington airport provides. Thank-you to Singapore Airlines too for their vision and strategic leadership. Best regards to all parties. Would be wonderful to get CX flying into Wellington. I am currently flying via Aus to get back home. Regular business in HK. I would love to know the basis of the pilots’ objection to the runway extension. I would have thought they would cheer it on. The basis is the RESA or runway end safety areas, the proposed length is 90m, which is the minimum international length allowed. The pilots felt that length was unsafe, and instead should be more like 180m, for extra safety! As a born & breed Wellingtonian and living in Melbourne for the past 30 years I am delighted to see the positive expansion of Wellington Airport. In the past there appeared to be very little activity occurring and when a small version of the B-747 arrived some years ago most of Wellington turned out to see it! There was also the opening 1959 when an Avro Vulcan clipped it’s wheels on the runway spraying the crowd with kerosene and then successfully crashed landed at Ohakea with no injuries. A very well written article Chris. Congratulations. The runway extension must happen in order to provide even better safety margins. Continuos improvement! The recommended ICAO 240m RESA’s can only then be viably accommodated. EMAS’s are a real solution for Wellington. Wellington airport always has had a large potential catchment for passengers wanting a more direct access to Asia and onto Europe and outbound/inbound international freight. Air NZ has always seen Wellington not an important departure point for Asia and the America and have been forcing international passenger through Auckland. Singapore Airlines has always seen Wellington as their 3rd international gateway for their Australasian network, hence the introduction of Singapore’s ‘Capital Connection’, as Wellington is (excluding Auckland) is NZ busiest domestic hub for turboprop and jet aircraft movements. The Airport company wants to extend the runaway, so the airport is compatible for B787/A350 aircraft operations, hence Airbus doings flight tests with their A350 a couple of weeks ago. The new airport hotel is being built behind the international departures, allowing passengers a 5-10 minute walk through the terminal to the hotel. This will be a first in Australasia. Any chance project sunrise would have the range to allow AirNZ to link Wellington or Auckland to Europe direct? ?